Nuvolari-Lenard’s heritage of creating the world’s most innovative yachts is obvious throughout the MARQUIS 500 SPORT COUPE’s design and appointments. The yacht shown here demonstrates the use of African Zebrano cabinetry, Brazilian cherry floors, intense black lacquered cabinet highlights and designer fixtures which sets this yacht apart from typical, mass produced, express style boats. People who love sunshine and being on the water will place a high value on having the swim platform, cockpit, salon, helm station and galley on the same level. The aft bulkhead doors swing open providing unencumbered access to all areas on the salon deck level on the MARQUIS 500 SPORT COUPE. Propulsion on this MARQUIS 500 SPORT COUPE is provided by three Volvo IPS Series 500 Diesel engines equipped with innovative IPS drives. 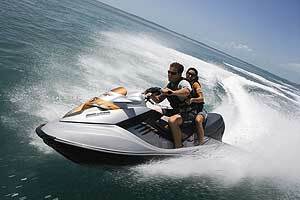 Performance is exhilarating since the MARQUIS 500 SC can achieve a top speed of 36 knots. The IPS joystick makes docking and manoeuvring this 50’ sport yacht easy. 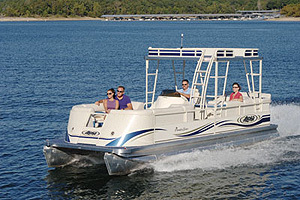 Like all Marquis’, the MARQUIS 500 SPORT COUPE is built to CE-Class A specifications. That means it meets the European Union’s highest standards and is built to be used with confidence on any body of water throughout the world. Please click on the « Full Specs » tab for complete details of this Sports Cruiser. 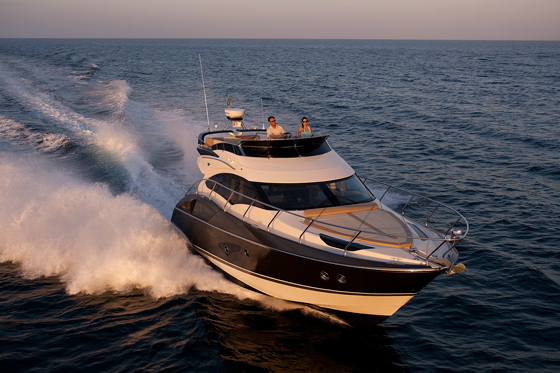 Beautiful MARQUIS 500 SC with exceptional lines that provide her sportive and elegant allure. Boat in mint condition, complete revision by Volvo on January 2018, ceramic hull paint and antifouling also in 2018. Ready to sail, no additional expenses to be expected! 3 beautifully appointed cabins can accommodate 6 people sleeping; a master double bed with shower room and toilet, a VIP double bed with shower room and toilet, a twin cabin with 2 single beds, each with plenty of storage space and dressing room. Berth place management possible on French or Italian Riviera as well as Spain (Mainland and Balearic islands), Greece and Turkey.